There is nothing more rewarding than taking a kid hunting, which is why every year I team up with the Rogue Chapter of the Rocky Mountain Elk Foundation and local volunteer Jeff Heil for the opening weekend of the Oregon youth turkey season. Jeff serves as the guide and I the cinematographer that captures the hunt on film later providing an edited version to the family. The turkey hunt is auctioned off at the local Medford Oregon RMEF banquet, where 100% of the proceeds benefit the Rocky Mountain Elk Foundation. Hunting is Conservation. Many kids and adults alike may not understand this correlation, but while taking Tyler Seney out into the field for his turkey hunt, I was sure to talk with him about how his hunting trip directly benefitted conservation and the enhancement of habitat for elk and other wildlife, including turkeys. Pretty cool stuff to explain to a 15 year old young man. In order to make the drive and get into position to hunt, Jeff and I met up with Tyler and his dad Shawn long before daylight. Our strategy was to set up on the turkeys just after they left the roosting tree. We had a significant advantage for our hunt because Jeff has hunted this particular piece of public land for many years and had a pretty good idea as to where the turkeys like to roost. Using the cover of darkness as camouflage, the four of us slipped into the timber. When hunting you always take a calculated risk making moves in the dark, sometimes, the darkness offers you an advantage to move more freely without detection and sometimes it allows you to slip right in to where you want to be, only to find out you have slipped in a little too close and spoiled your morning hunt plans with spooked animals. The latter scenario was exactly the case with our morning stalk. Perfectly executed, and accidently right directly under the roosting tree. There was just enough daylight for us to make out two turkeys flying away. Hunting is all about patience and perseverance, so quitting this early in the day is simply not an option. Off to Plan B, locating other turkeys. Several hours later without luck, we had made full circle. The look on Tyler’s face was priceless when out of nowhere we heard a turkey gobble. We were back in the thick of turkeys and lady luck had brought us the opportunity that we needed. 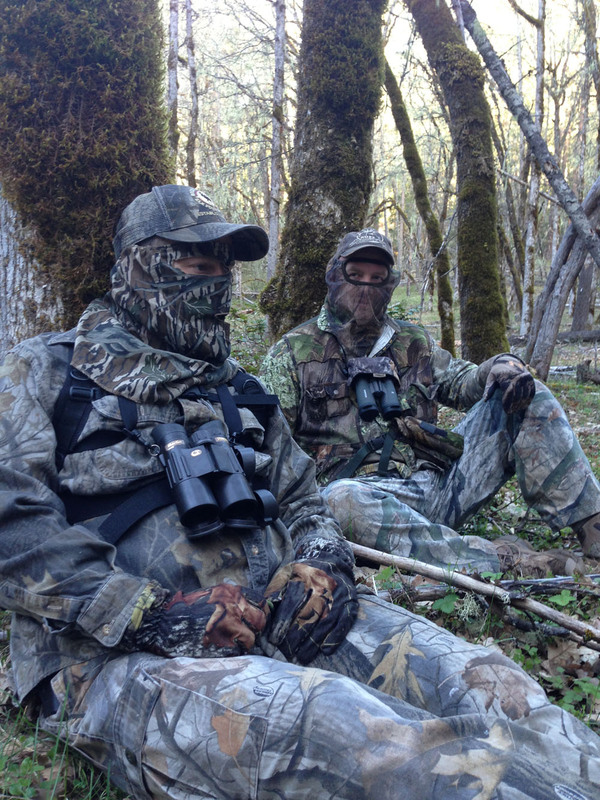 Jeff and Shawn slipped back and began calling and the turkeys came right in, a story book set up. The problem was that the two jake turkeys that came in were so young, that Tyler was not sure that they were not hens. This demonstrated sound hunting ethics and outstanding moral character for not taking the shot on the birds. When in doubt, go without. Our morning hunt had drawn to an exciting close with the decision to move onto another location. 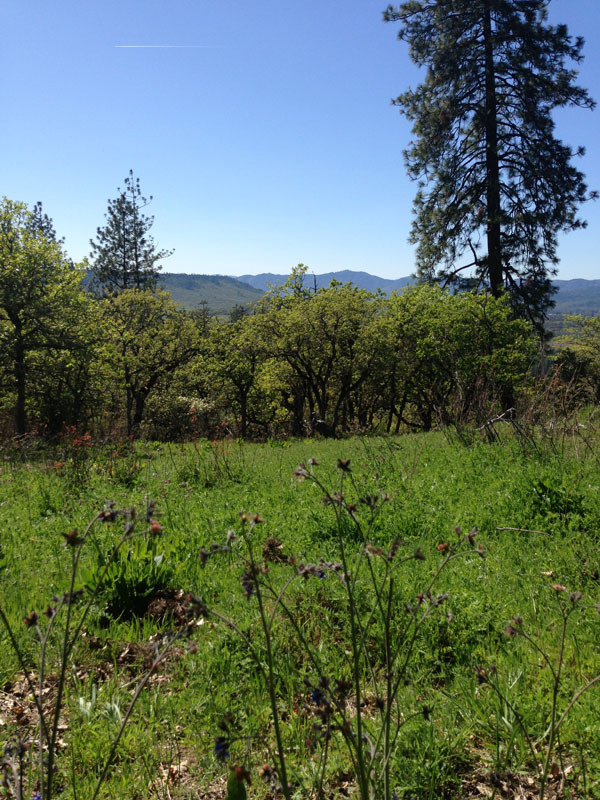 We carefully sat at the base of the oak trees in our best effort to avoid the poison oak that was seemingly everywhere. Jeff had placed the decoys 20 yards in front of us in preparation for his calling set. We were employing a different strategy; we were calling blind in an area known to host a large number of turkeys. The warm rays of the spring sunshine made the call set a delight. Call and wait, repeat, these are the days I enjoy most. The ones with good friends and family in the field on a nice warm day doing what we love most. It really does not get any better than that very moment where your only worry is if a turkey is going to catch you moving. I was slightly dozed off, head against the tree when Tyler spotted the turkeys making their way towards us. The thrill was on when the two jakes came in at full strut, right up to the decoys. I am not sure what it is with turkey’s but they always seem to come in together and like to remain right on top of one another making a shot opportunity impossible. Once again, Tyler was patient waiting for the turkeys to give him his opportunity. The two turkeys lost interest in the decoys quickly and tucked in and started pecking and scratching just below us and nearly out of sight. The waiting game was on. All we could do was hope that the turkeys would work their way back up the hill towards us giving Tyler his shot opportunity. Motionless we waited as the jake turkey turned up the hill towards us and away from his companion offering Tyler the shot he had waited his entire life to take. With his father and new friends at his side Tyler had just successfully filled his turkey tag. This will surely be a hunt that he remembers for life and one day, he will re-tell his own children about his first ever turkey hunt with his dad on the mountain in Oregon. In more ways than one, his hunt literally helped to continue a legacy that will last a lifetime and beyond.